Everywhere you look these days, you come across the term superfood. In magazines, cooking shows, commercials, and online ads, a lot of buzz has been generated around the term and that is with good reason. Healthy eating is always something we should strive for as busy working adults; however, there is something to be said about stocking up on the right foods. We can’t be expected to do a complete overhaul of our diets and our schedules. 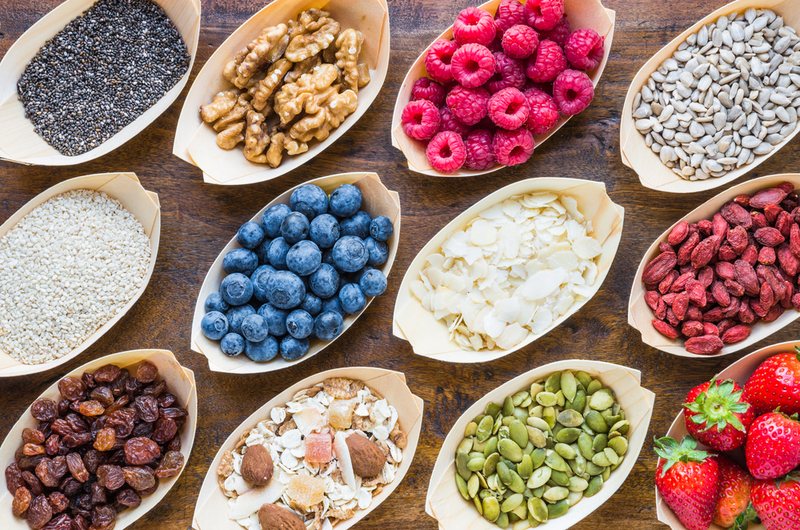 We know we should all eat better than we do, and by arming ourselves with some information about certain healthy snacks we are more likely to transition them into our lives. Here are three superfoods that can be tied into any working professional’s busy schedule. Try eating an entire cup of blueberries every single day. This can be easily done either in one sitting as a snack or as a topping on your morning cereal or lunch time salad. Studies show that eating blueberries regularly can help slow a decline in memory function and focus. In addition to helping maintain a healthy memory and a healthy heart, blueberries are a must have because of their high levels of folate, vitamin C, fibre and vitamin B6. With their undeniably delicious taste there is no excuse for you to not eat and enjoy at least one cup of blueberries every single day. If having a coffee is part of your morning routine, try the healthier, still caffeinated, alternative of green tea. Green tea is a superfood that is easily assimilated into any morning or afternoon routine. Rich in antioxidants, green tea is the natural replacement for coffee while still providing you with the burst of caffeine you may require to start your day. There have been many studies done linking cancer prevention and drinking green tea and, although nothing can be said conclusively, there is evidence that leans towards green tea’s assistance in the prevention of some forms of cancer. If there is a fighting chance you can help your body stay healthy simply by drinking a delicious cup of powerful green tea every day, we should all be doing it. Another amazing snack that is incredibly easy to eat on the go, almonds provide the body with an excellent source of fibre along with a dose of iron, calcium, potassium, vitamin E, and magnesium. They can easily be snacked on while working at your desk, which is a much healthier alternative to reaching for a bag of chips to satisfy that afternoon craving. Try to mix them with some dried cranberries for a bit of variety. Healthy eating is simple to accomplish if you integrate different superfoods into your daily routine. By adding a few healthy superfood snacks to your daily diet you will quickly be able to see the positive effects shine through your work output and energy levels.